We all react to pressure with varying degrees of productivity. People who consistently maintain high levels of success intentionally put themselves under pressure. Most of us escape pressure under the pretext that it creates more stress for us. And more stress equates to less happiness. So, we settle for less… pressure. And that’s alright if gently floating in the currents of mediocrity keeps you satisfied. To become extraordinary, you need a sense that it is absolutely necessary to excel. High performance individuals are accustomed to dealing with the stress of high necessity. They have a deep sense of obligation and urgency. As a result, they seek mentorships to keep them accountable. Are you chasing excellence to the point of obsession in their field? Do you have high expectations of yourself? As a result of creating necessity, you will start to consciously choose obligations and deadlines that will stretch your capacity. Successful people are not pushed to performance. Instead, they are pulled into raising their game. The demands they sense to succeed are not placed on them from other people. Rather, the drive for success is an internal motivation. Therefore, high performance people tend to raise the stakes on their own expectations. To be constant and consistent in your success, you also have to raise necessity. • Start by taking a hard, unflinching look at your own performance. 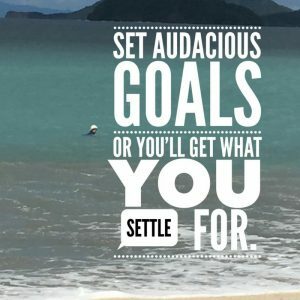 • Set new standards for yourself – raise the bar! Settling for less reduces stress but also relegates you to mediocre and occasional success. • Self-monitor more frequently to test if you are on track. ARE YOU READY TO RAISE NECESSITY?